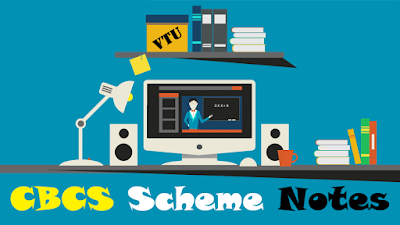 VTUBOSS-The following notes are given to students studying under the new CBCS VTU scheme and syllabus. We regularly add more VTU CBCS SCHEME notes and study materials to this website. VTU CBCS Notes are provided in PDF format, so students can easily download or Xerox. All notes are sorted according to CBCS notes with respect to their branches. We offer Push Notification Service and many updates now. Review all the notes one by one and download the required study materials or Notes. I hope that all VTU students will be helped From This Notes and Study Materials. If you receive any Other study materials from Other Source, then send us to the proposed email that will help other students.we'll update them on our servers.